The typo is reminiscent of the recent Mitt Romney blunder, in which the presidential candidate’s With Mitt app spells “America” incorrectly. Or do these two parties have an agenda we haven’t been introduced to just yet? 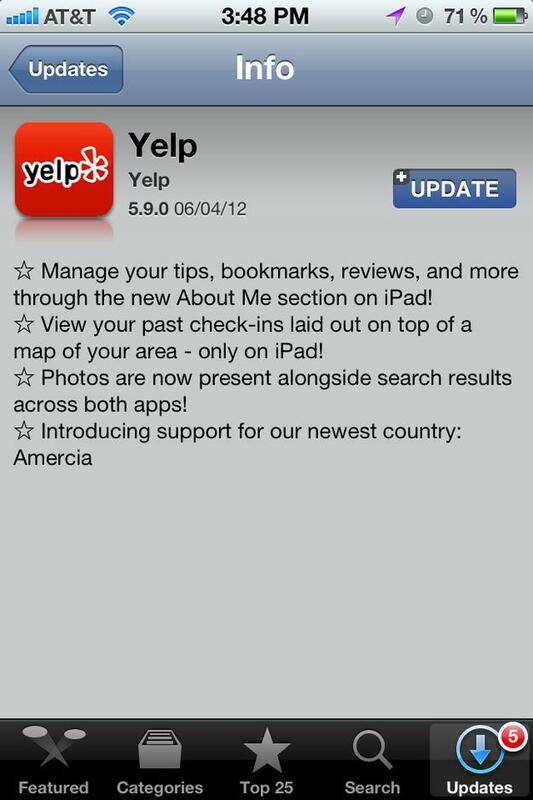 Is Yelp declaring itself a supporter for Romney with this update? You’d think that after the humiliation that came from With Mitt, app developers would be more careful about spelling errors in their own products, especially when it comes to getting the correct country name. 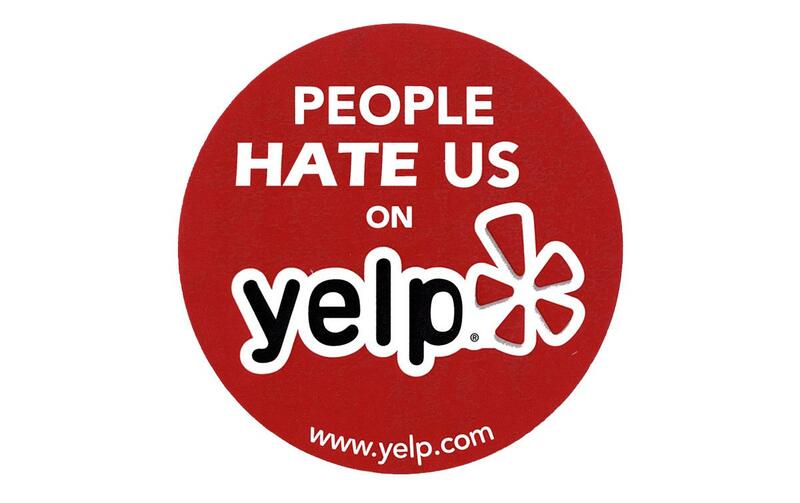 Unless, of course, the whole thing is a joke on Yelp’s part in which case we applaud the company with major trolling points. Perhaps the listings under Amercia will offer us places to get Romney’s favorite meatloaf cakes. Whatever or wherever Amercia is, it already sounds like the saddest place on earth. At the very least, the app is receiving some extra five star ratings on iTunes, many that continue to poke fun at the typo. Yelp isn’t kidding when it states on its iTunes page that the app may contain “Infrequent/Mild Profanity or Crude Humor.” Looks like America might need some copy editors before we elect our new president.